Are you about to get a new car for your teen master? It could be that he has finally reached the threshold of high school or college and now it’s time to make himself dependent. Driving skills are an important step in making a person independent and you have to get a suitable steam for him. Now, money is quite a crucial clause when it comes to buying a car- it’s not only about the buying price but also about the running and insurance costs. It’s better to stick to simple yet smart & sturdy cars rather than flashy wheels when you have plans for cars for young drivers. The post below offers a brief on top 5 cars that are sure to impress your teen master. Crash safety is a major concern when it comes to cars for young drivers and Skoda Citigo assures the desired peace of mind here with its stellar rating of full 5 stars by Euro NCAP experts. It’s one of the best among city-car class category & great to drive. One of the most important clauses which keeps Citigo ahead of its competitors is its affordable price & the impeccable customer-service record of the company. You have the option to choose from 3 or 5 doors. If you are looking for cars for young drivers that can offer sizeable luggage room so that the youngsters can go out on weekend tours with buddies, Citigo appears as a viable option. The boxy hatchback is best for city-centre and town driving and also promises a refined ride on motorway- something not so viable with all its contenders. In regards to engine, the car comes with 2 different modes of a small 3-cylinder 1 l engine- you can choose from 59bhp which is less powerful compared to the other option of 74bhp. However, the 59bhp is available in regular & more efficient cutting edge GreenTech options. On the other hand, 74bhp is only meant for GreenTech version. If you want to know about biggest-selling cars for young drivers in Britain, Ford Fiesta is the name for you. To start with, it’s just amazing to drive. Yes, you might be contemplating about its higher cost over the competitors but the car makes it up with its bigger space & greater practicality- not to forget it’s super-smart charisma which is sure to please your teen master or teen princess any day. When it comes to the engine part, you have a variety of petrol & diesel options to pick from- and all of them assure wonderful balance between economy & performance. If you are looking for high mileage, you can take to 1.5l diesel. However, the experts also recommend the EcoBoost 1 l 99bhp petrol. It assures flexible performance, lower CO2 emission, good economy and of course lower running costs. Last but not the least, Fiesta promises a comfortable reasonable quiet ride. If it comes to solid city runabout cars for young drivers, Hyundai i10 would make a grand pick. The hatchback assures a beautiful package of everything great about Hyundai right at this very moment. To start with, it’s really really affordable and hence you won’t have to worry about your wallet. The icing on the cake is that the car carries a superb comprehensive 5-year warranty. According to experts, the i10 is more practical compared to its contenders and since it comes with 5 doors, your teen master would be go on a merry trip with his sizeable group of buddies as well. Then, of course, the car promises sharp styling & some fantastic engines which combine great efficiency with standards performance. There are 2 petrol engines to opt for here. One comes with 65bhp 3-cylinder 1 l & another one is 4-cylinder 1.2l option with the promise 86bhp. If you are looking for cars for young drivers with tax free engines, you should go for the i10’s 1 l version that returns around 65.7 mpg- whilst emitting a mere 98g per kilometre CO2. If comfort is a big thing for you when it comes to cars for young drivers, Kia Rio could be a wonderful choice- your teen master would love to have it as his first steam. Rio pleases with its super stylish 5-door body which further assures good deal of interior space. And then yes, Rio is reasonably powerful yet frugal and hence would mean very affordable running costs. One of the most striking features about Kia Rio is its magnificent 100,000-mile/7 year warranty. Experts love to tag it as “supermini” that effortlessly majors on comfort, space and your money’s worth. However, apart from the 5-door option, you have the car in 3-door option as well & both ways, you are promised of an elegant steam. In regards to engine, Rio allows you to pick from a range of small diesel and petrol engines. However, if you follow the experts, it would be worthy to go for more powerful & smoother 1.4 litre diesel option. It would return you around 74mpg. Kia Rio is certainly one of the best cars for young drivers in regards to its standard safety features. Kia is suitably armed up with a solid kit, comprising of stability control, anti-lock brakes, several airbags & traction. Finally, you will be glad to know that EuroNCAP has already awarded the car a full rating of 5 stars. 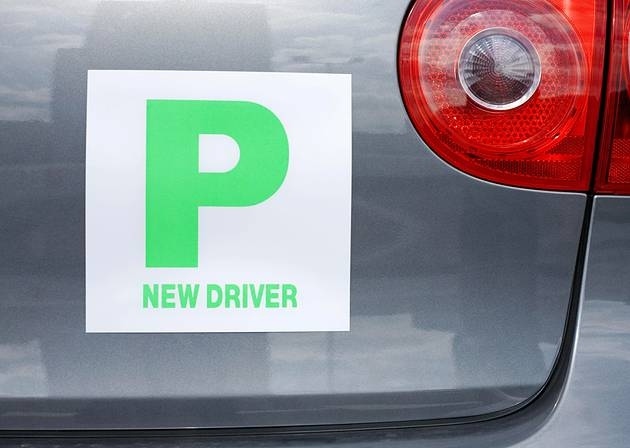 This list on cars for young drivers would be incomplete if there is no mention of Toyota iQ. Same as the size of Smart, the car assures a 4-seater cabin & not just a couple of seats. You definitely want to assure a fantastic driving experience for your son with his first and in this context, the iQ scores high among cars for young drivers - thanks to its impressive stability & reliability record so that you can have your peace of mind. The experts recommend taking to the basic 1 l engine that arrives with manual gearbox and given its just 99g/km CO2 emission, it’s tax free.